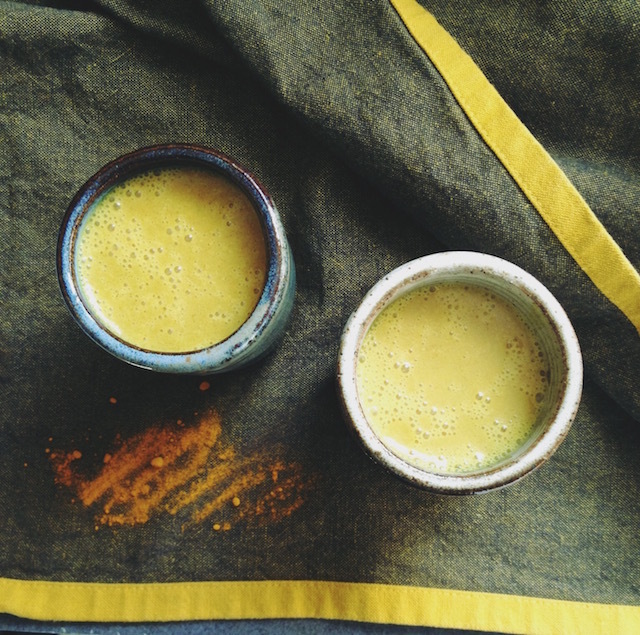 This Auryvedic recipe for Golden Milk traditionally incorporates black pepper to help absorption. Drinking this before bed can aid relaxation and help to boost your immune system while sleeping. For extra crunchy DIY points, use your own homemade almond milk! Over low heat, add all ingredients, except coconut oil, and whisk till combined. Bring to steaming, just below a simmer. Stir occasionally, for 10 minutes. DO NOT let it come to a boil! Remove from heat. Stir in coconut oil. Taste and add additional maple syrup if desired. Shot out to my hubbies pottery skills. I am loving these tumblers. This recipe can be customized however you’d like! Options are endless, but you get the idea. 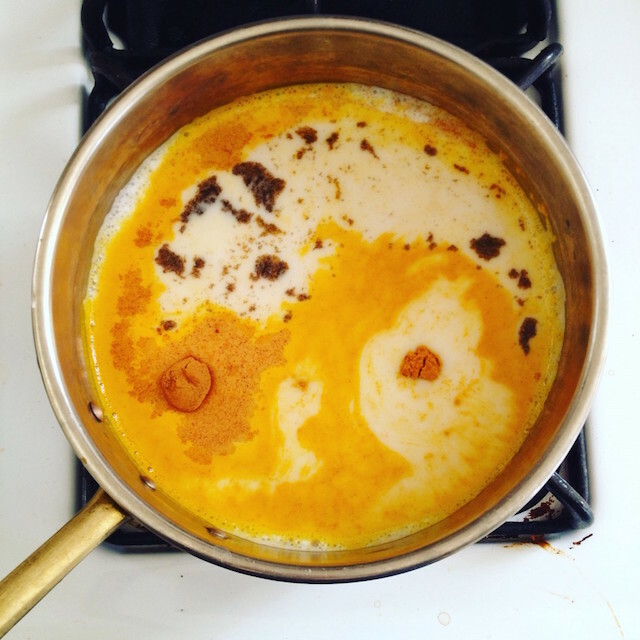 This entry was posted in Gluten Free, Natural Health and tagged almond, ayurveda, golden milk, turmeric, vegan.